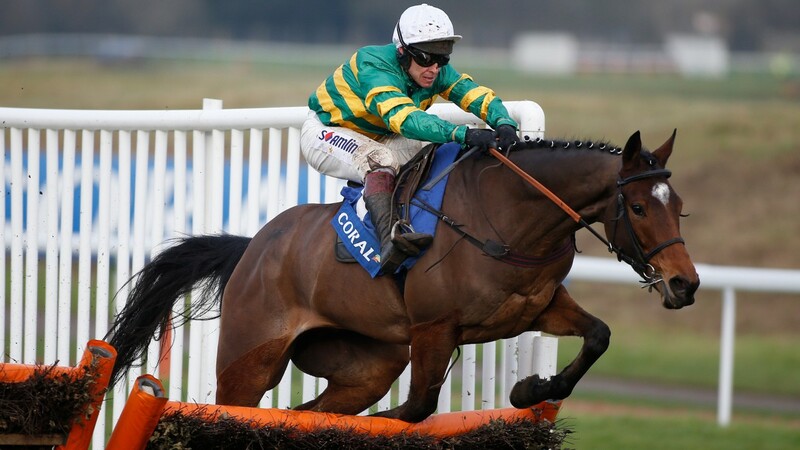 Unbeaten sequences come and go but it will take a very good young hurdler to lower the colours of Defi Du Seuil after he stretched his winning streak to four since joining trainer Philip Hobbs. Although the Richard Johnson-partnered three-year-old was ragged and untidy at his hurdles up the home straight, he was always in command and had no difficulties in seeing off early leader Evening Hush. Hobbs said: "We have had some very good juvenile hurdlers in the past but this horse is right up there with them. He was very impressive and the only minus was his jumping up the home straight, which was appalling. "Maybe it was because he was in front for a bit too long as he was very good down the far side – it's something which we might have to work on, but all-in-all, it was a great performance." Looking ahead, the trainer added: "The Triumph Hurdle is the aim so we'll work back from that. He could go straight to Cheltenham but he is very, very tough so maybe we'll look at the four-year-old hurdle on trials day at Cheltenham at the end of January." Richard Johnson was also very taken with the run and said: "He's very good and I was pleasantly shocked at the way he picked up turning in. If we had a wet spring, he would take a lot of beating against the top juveniles. "I lit him up and got him there to soon, but down the back straight his jumping was really good. He was a bit clumsy and green up the straight but he's a very good jumper and has done it really well." Defi Du Seuil was promoted to general favourite for the JCB-backed Triumph, though his price ranges wildly, from 3-1 (Paddy Power) to 8-1 (Ladbrokes). Evan Williams was bullish about the chances of Evening Hush beforehand and afterwards said: "Ours is a good one and he destroyed us. No complaints, he beat us fair and square. "We’ve run a blinder but the winner is a machine, no mistake. He’s brilliant, we’re just very good." The trainer added: "We’ll look at Cheltenham in January or the Adonis at Kempton in February. She’s good enough to win a Grade 2."